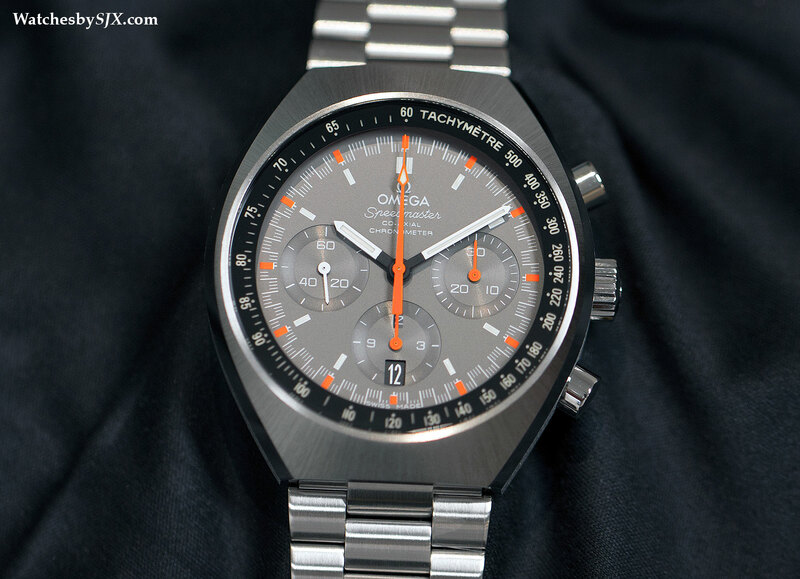 Introduced in 1969, the first Omega Speedmaster Mark II is a typical watch of the seventies, with a chunky tonneau-shaped case. It was intended as the successor to the Speedmaster Moon Watch, but after the 1969 lunar landing, the Moon Watch gained immortality as a legend in watchmaking. At Baselworld 2014 the Speedmaster Mark II made its comeback, looking much the same as before, but with technical upgrades over the original. Finished well with precise edges, the case is large and barrel-shaped, with a 42.4 mm diameter and a radial brushed finish around the top surface. 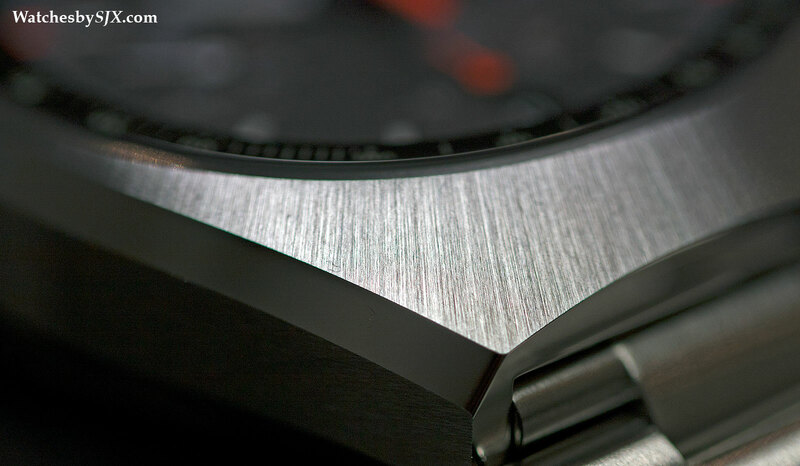 A wide, polished bevel runs down the side of the case, providing a contrast between the matte top surface and flanks. The crystal is sapphire with the tachymetre scale printed on its underside. It is what is known as sandwich construction: below the crystal is a SuperLuminova-filled aluminium ring, which lights up the tachymetre from its underside, making it easily legible in low-light. The movement inside is the calibre 3330, a self-winding chronograph movement based on the Frederic Piguet 1185. 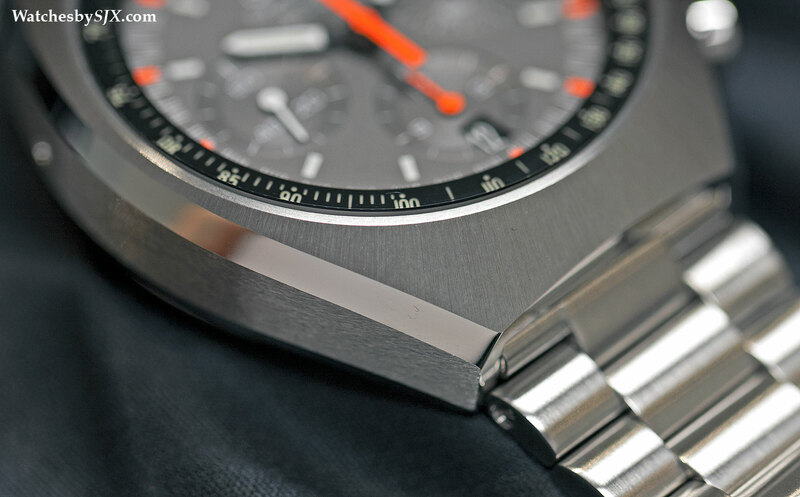 It has the usual amenities of a modern, high-end chronograph, like a column wheel and vertical clutch. And the calibre 3330 also has Omega’s proprietary escapement technology, like the Daniels Co-Axial escapement and the Si14 silicon hairspring. Together, these promise an escapement that runs better for longer. All watches with the Si14 hairspring come with a four year warranty, double the two years that is the norm for Omega and the rest of the industry. This also has a date window at six o’clock, but it has to be advanced via a pusher in the case at 10 o’clock, a hassle if a toothpick or stylus is not available. The clasp and bracelet are simple in form – overly simple compared to the equivalents at Rolex – but solidly made. A ratcheting extension is a convenient feature on the clasp. Pictured here is the Mark II with the striking “racing” dial; it is also available with a black dial. 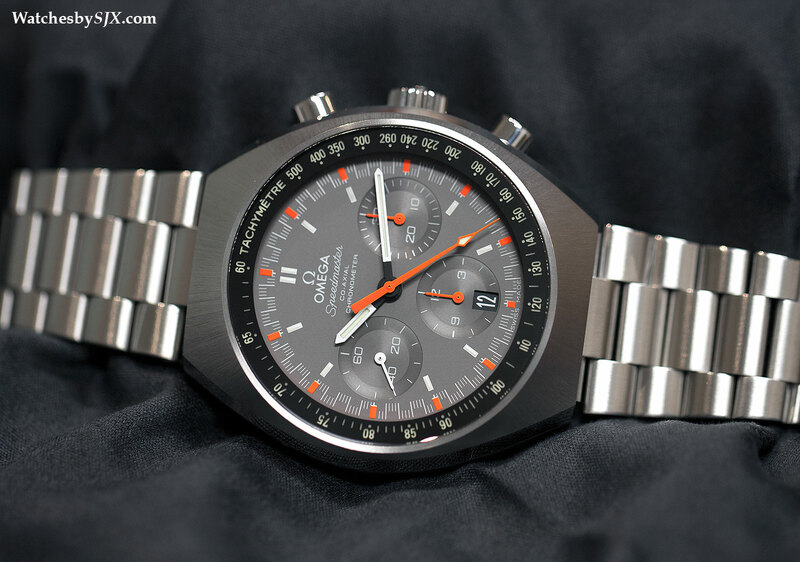 The price of the Speedmaster Mark II is US$6250 or 8050 Singapore dollars. 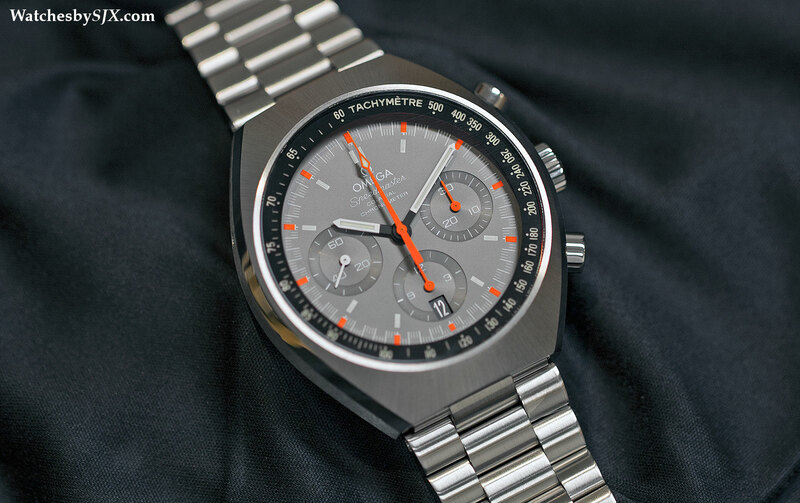 This costs several multiples of what an original Mark II will set you back, but relative to the its modern competition, the new Mark II is competitively priced – perhaps is an indictment of the state of the watch market. 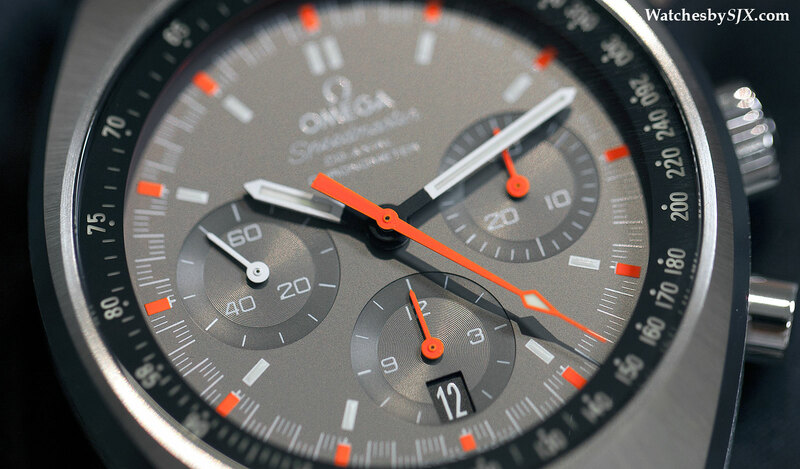 More recently Omega unveiled a limited edition version of the Speedmaster Mark II for the 2016 Rio Olympics.